You might say this week that the theme is working with others, whether this involves archaeology or history. However, before I get down to reporting what has been happening I thought I would just make a final reference to Paul Bennett’s lecture as the new Visiting Professor in the Centre on this coming Tuesday. The continuing problem of preserving the heritage of ancient civilisations in north Africa and the Middle East remains in the news, in addition to the horrors of war experienced by civilians caught up in the various conflicts, and such issues are pertinent to Paul’s talk, which will remember archaeology in such places during far more peaceful times. For Paul’s links to Libya are of long standing and these personal and professional connections are essential in terms of his commitment past, present and future. Similarly, his life’s work in Canterbury and Kent more broadly, as both field archaeologist and Director of Canterbury Archaeological Trust during exciting but often difficult times, will provide fascinating insights regarding later twentieth-century archaeology in a rapidly changing Britain. 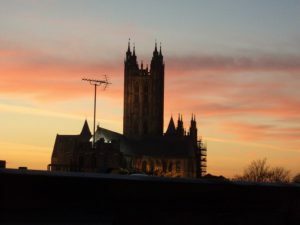 So if you are free this coming Tuesday evening you will be most welcome to attend his open lecture at 6pm in Old Sessions House, Canterbury Christ Church, which will also mark the relaunch of the Centre for Kent History and Heritage (no booking required just turn up). Keeping with the subject of archaeology in Kent, I attended the final research seminar of the term organised by Dr Andy Seaman and Dr Darrell Rohl that featured a lecture on the use of LiDAR in community archaeology by Dr Andrew Mayfield. Andrew is the Kent County Council’s Community Archaeologist and he is working with a wide number of local groups across the county, but his particular focus last Wednesday was the area in and around Randell Manor in Shorne Country Park. This is part of a wider area in north-west Kent extending from Gravesend to Rochester and south to Cobham, which has and will be the subject of LiDAR surveys and other archaeological investigations to determine past landscapes, land use and other aspects of social history. As Andrew explained, the research based on LiDAR surveys, historic maps – estate, county and OS, GIS mapping overlays, is being used in conjunction with ten years of fieldwork at Randell Manor that has revealed a great deal about the manorial site and its buildings, the neighbouring field systems, fish ponds, trackways, and later chestnut coppicing and even later clay extraction. In terms of the excavations, these have revealed numerous features including the kitchen range, the aisled hall with its hearths, cross-wing and garderobe. This work has largely been undertaken by community groups in the area, including Young Archaeologist Clubs, and following on from its success Andrew is heavily involved in setting up a wider, in some ways more ambitious, landscape project based on the Cobham estate. Randell Manor was the home of Sir Henry de Cobham (d. 1316), but the main family house was at Cobham Hall. Unlike Sir Henry who was buried in Shorne parish church, the principal family members were buried in Cobham parish church, close to the medieval Hall and Cobham College, a house of secular priests also nearby and now an almshouse. 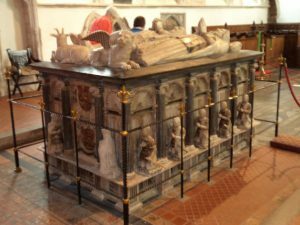 Although most of the early family funeral monuments are brasses, there is the splendid sixteenth-century Brooke Tomb, which has effigies of the then Lord Cobham and his wife. Andrew has applied to the Heritage Lottery to fund this new three-year project on the estate. The archives at Medway and at Hatfield House contain a number of estate maps and from these and other materials he is hoping to trace the deer park, as well as the medieval field systems and lost hollow ways. Of particular importance is the Norton map, dated c.1640. Other investigations will centre on the use of magnetometry and geophysics to locate the windmill and other now lost buildings. Unlike Randell Manor, this project will not include intensive archaeological excavations, in part because Cobham Roman villa was dug at an earlier date and the site notebooks are today artefacts in their own right in Maidstone Museum. Thus, as Andrew discussed, this project will open up opportunities for people to gain new research skills and it is possible some of the students in the audience will take the opportunity to become involved, not least in terms of their undergraduate independent studies. The idea of involvement was also very much to the fore at the Kent History Federation meeting that I attended on Friday in the County Council Chamber at Maidstone. Like the other universities in the county, Christ Church sends a representative and I was attending instead of Dr John Bulaitis, not least because I could represent the Centre, as well as History more generally at Christ Church. Also present was Dr Mark Bateson as the representative of the Kent History and Library Centre. 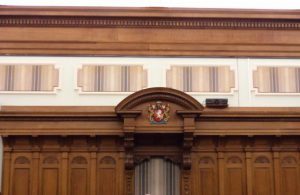 Among the issues he highlighted was the monthly ‘behind the scenes’ tour at the county archives that includes a chance to see document conservation in action and the special arrangements in the storeroom. Other events organised by the Maidstone Centre are exhibitions and history talks that have included hop growing over the centuries. 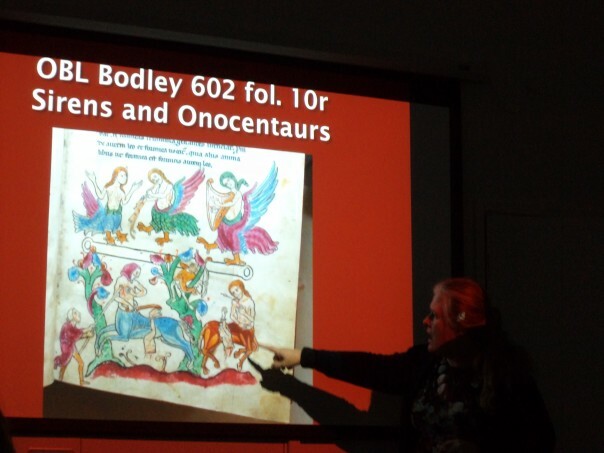 Early next year the 40th Anniversary exhibition of Canterbury Archaeological Trust will be at Maidstone and Elizabeth Finn recently gave a talk on the manorial records project. Other speakers have included Dr Claire Bartram, a senior English Literature lecturer at Christ Church, who works on Elizabethan writing communities in Kent. Claire is in the final stages of negotiating a contract to publish a collection of essays on late medieval and early modern provincial reading and writing cultures, an exciting enterprise. 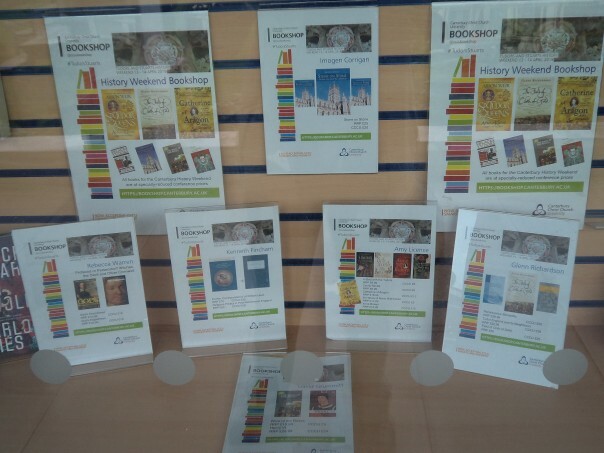 One of the activities organised by the Kent History Federation is an annual History Study Day that is organised by a different local history society each year. In 2017, it will be the group in Sandwich and already arrangements are well advanced. The set date is Saturday 20 May and among the speakers will be Richard Brooks who has written a biography on William Marshall, The Knight who Saved England. This is very appropriate because William Marshall was in many ways the leader of the English forces who defeated the French at the Battle of Sandwich in 1217. Keeping with this link, I will be giving another of the talks on the medieval hospitals of Sandwich, as a group perhaps the best documented medieval hospitals in the county. Finally as a postscript, yesterday I was at the Kent Archaeological Society’s Council meeting. This Society in many ways brings the idea of archaeology and history together, because, being over 150 years old, it embodies the Victorian notion of archaeology that was a highly inclusive construct. Consequently, it is valuable to have a connection between the Society and the Centre, as well as the other links noted already.